Do you want updates from your favorite restaurant, shop or brand? Download qonnect and “qonnect” with your favorite restaurant, brand, shop or sports club. qonnect gives you an exclusive, clutter-free personal news channel to your favorite—you decide what information you want to receive, be it offers, coupons or infos about events. 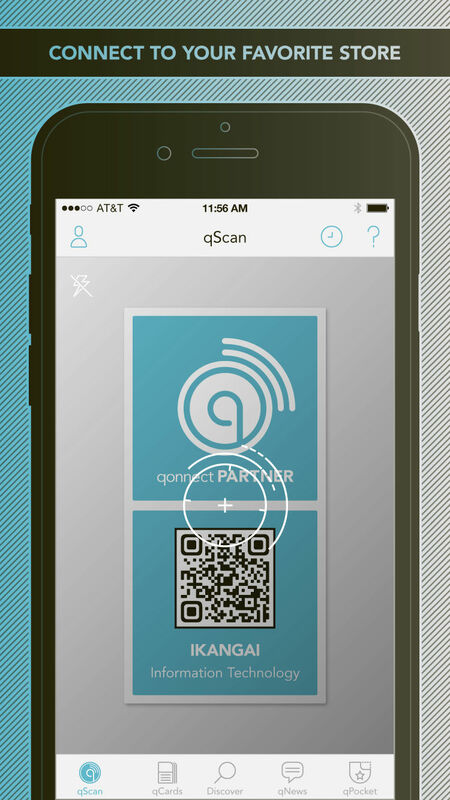 After scanning a dedicated qonnect QR barcode you are asked to qonnect yourself. A simple yes connects you to your favorite. You'll find a selection of favorites directly in the app. Qonnect to your favorite store and remain anonymous. 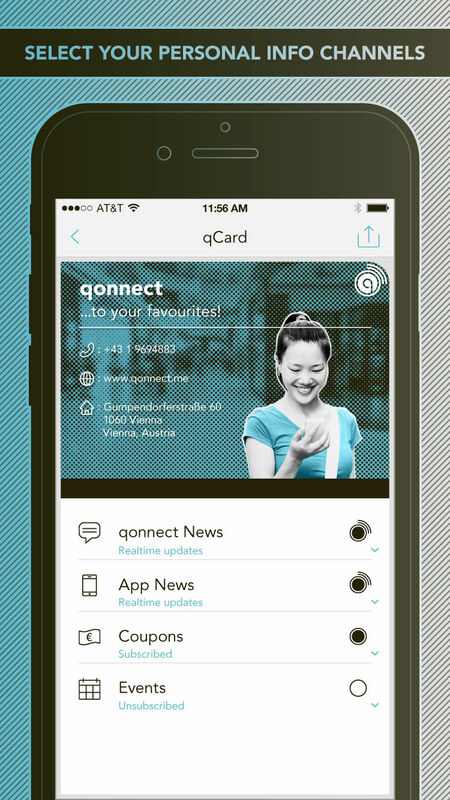 Qonnect is available as native iOS and Android app as well as on the web. Being a multi-sided platform, a lot of complexity arises in unifying the needs of all involved user groups. The mobile apps focus on privacy of the users—they offer benefits and real time information about the user’s favorite businesses while still keeping the user anonymous. Implementing typical social networking features (e.g following your favorite business, likes,…) while still keeping the user anonymous is especially challenging. Business owners, on the other side, want to reach their customers. They use a web-cockpit implemented in Ruby on Rails for managing their public channels and sending news. The mobile apps leverage numerous advanced technologies such as geolocation, QR-code scanning, push notifications, bluetooth beacon ranging and communicate with the backend via a custom API also built in Ruby on Rails.